You deserve your dream kitchen! Learn how our innovative approach to custom cabinetry can transform the heart of your home into a beautiful, magazine-cover worthy space. Known as “the heart of the home”, the kitchen certainly earns that moniker. Whether you’re making a big family breakfast, entertaining friends, or carefully placing grandma’s china back in the cabinet—the kitchen is a vitally important resource to you and your family. If you’re going to give a room in your home the royal treatment, your kitchen is the strongest candidate! 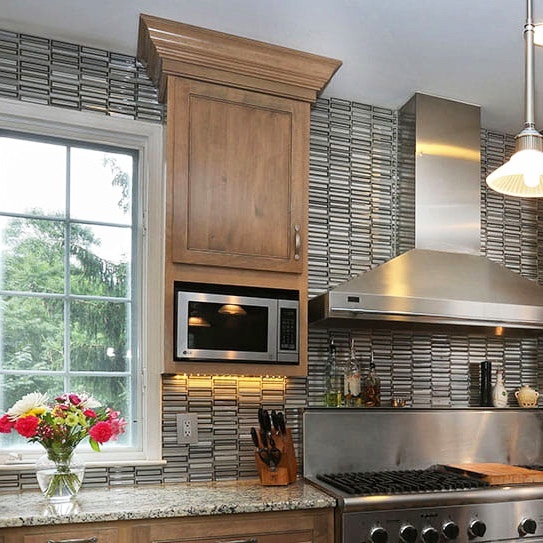 Kitchen remodeling can be overwhelming. 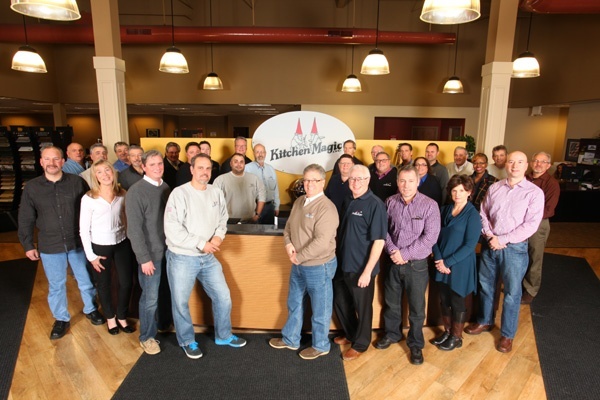 But our team of skilled craftsmen and dedicated project managers, together with a proven streamlined process, can provide a breathtaking kitchen remodel that is built to last a lifetime. So you can simply enjoy your beautiful new state-of-the-art kitchen and share it with your loved ones. Our expert design consultant will bring the showroom to you. You’ll receive our best advice, and be able to view samples in the comfort of your own home. You will have the support of a dedicated project manager who will be your trusty-guide, keeping you in the loop on all the details pertaining to your remodeling project. 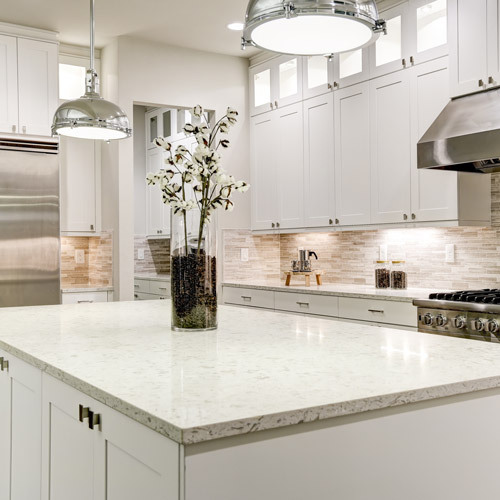 Our skilled draftsmen will take precise and detailed measurements, then our certified installers will construct your beautiful new kitchen with expert craftsmanship. Our job isn’t over when your remodel is completed! We are still here for you, just an email or call away, if you need us after your new kitchen’s transformation is finished. The process begins with your vision, combines with our expertise and superior craftsmanship—the result is the kitchen of your dreams. 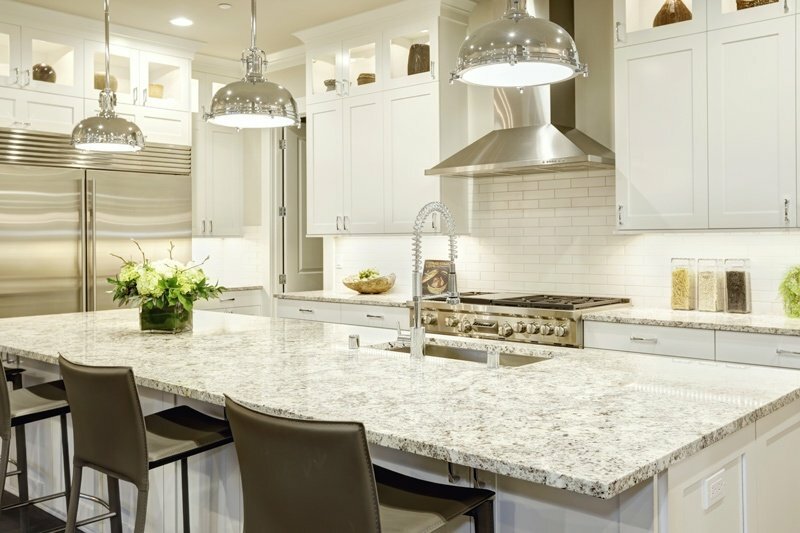 Add an unforgettable Island or Peninsula to elevate your kitchen’s style. 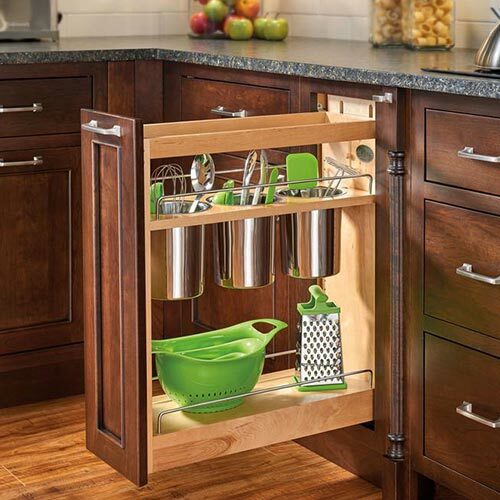 Enjoy a neat and tidy kitchen by way of our wide selection of storage accessories. 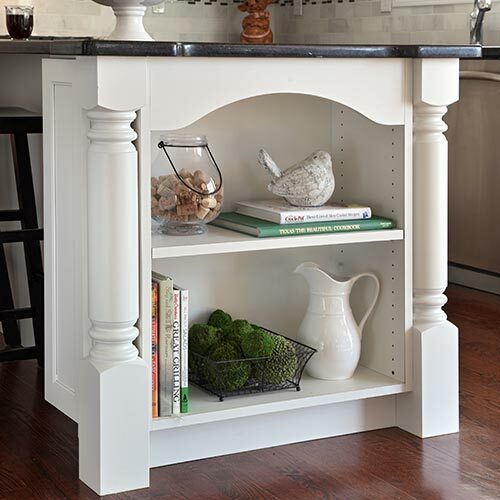 Choose stylish, on-trend open shelving to add visual interest to your cabinetry. Design an ultra-modern or traditional Mediterranean-style hearth build over your stove. Have all of your small appliances built right into your cabinetry, not cluttering up your counter. Include stylish furniture details to go with any style, spanning from contemporary to traditional. Expertly installed by Kitchen Magic certified installers. Choose from state-of-the-art kitchen accessories. Professional service & superior craftsmanship provided at every step of the process. When Is It Better to Go New? No remodeling project is the same. Some kitchens can re-use existing layouts and materials, others need a complete redesign to be functional again. 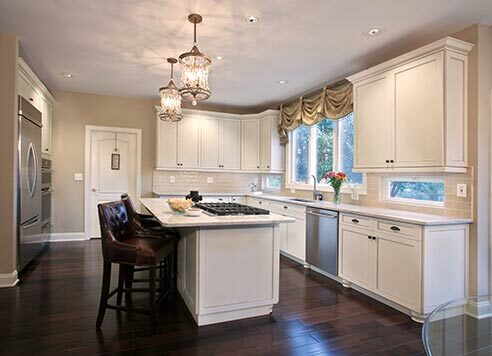 If your kitchen suffers from the following issues, new custom cabinetry is probably the best option for you. Our high-quality, maintenance-free cabinet door products are made to last, but if for any reason our product peels, chips, or bubbles under reasonable home use, we will service it for as long as you own your home. * Now that’s customer service you can count on! We take great care in using products that reduce the risk of releasing indoor air contaminants that are odorous, potentially irritating and/or harmful into your home. By choosing Kitchen Magic, you and your family can breathe easy in your new kitchen. We proudly support American jobs and manufacturing by keeping our production in the United States, as well as partner with other North American-sourced companies for our materials. Ready to create a look that’s uniquely yours? Let your imagination go wild! With hundreds of possible combinations, we are confident you will find the perfect style to fit your vision. Handcrafted exclusively for you, our custom cabinets are gorgeously constructed with durability and longevity in mind. High quality ¾-inch North American maple plywood cabinet construction. Durable 3-way adjustable, European-style self closing, quiet internal hinges. North American hard maple plywood drawers with smooth, soft-closing glides. Neatly concealed undermount, sturdy stainless steel drawer suspension. 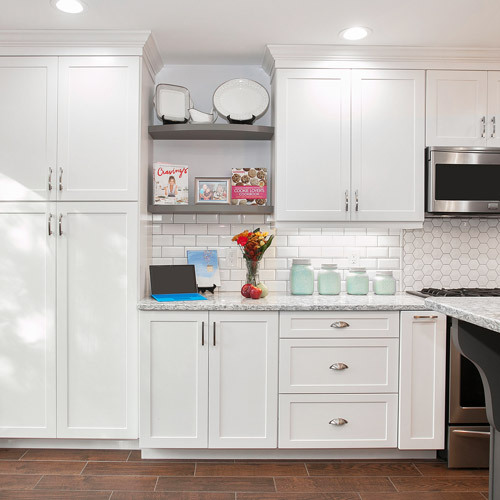 Our custom cabinetry is available in hundreds of color, style and cabinet door combinations—in your choice of premium hardwood or high-quality laminate. 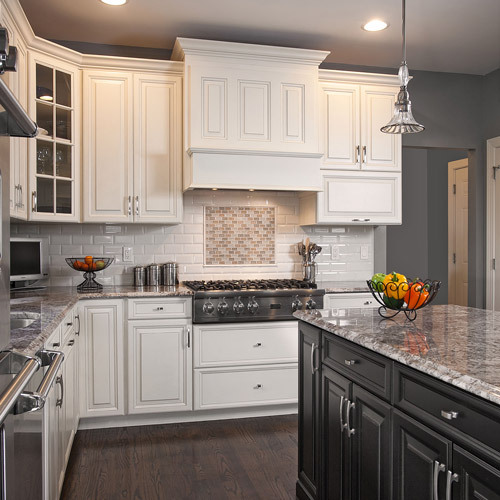 Is New Custom Cabinetry Right for You? 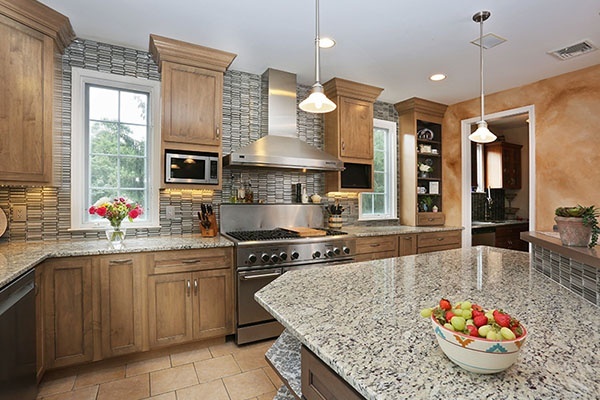 Learn how Cabinet Refacing can cost half as much as custom cabinetry. *Kitchen Magic warrants our laminate products under reasonable home use and service for as long as you, the Buyer, own your home. Labor on all products is warranted for one (1) year from date of job completion. For a full description of our warranty, click here.